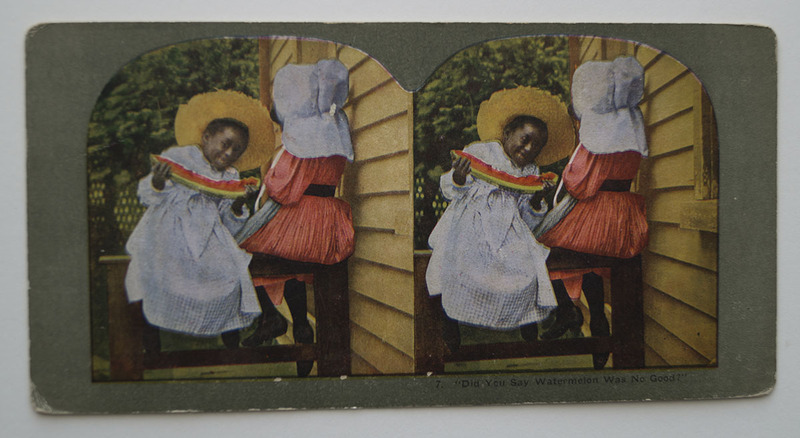 This stereo view of a black girl with watermelon continues the odd pairing of black folk with watermelon. 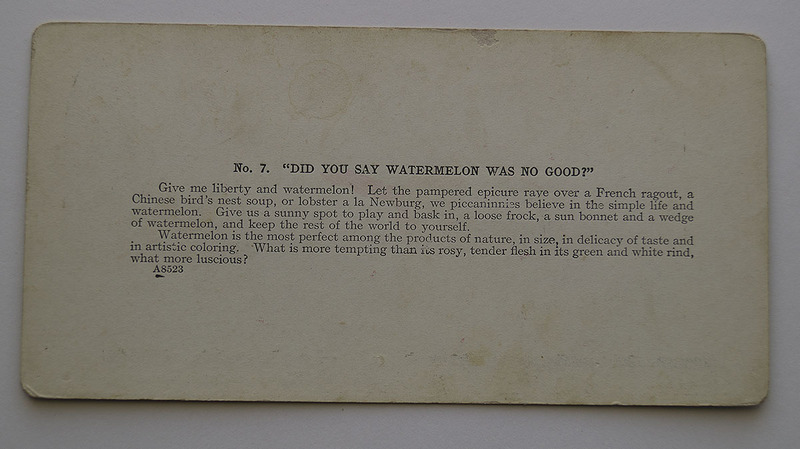 It states, “Did you say watermelon was no good? Give me liberty and watermelon! Let the pampered epicure rave over a French ragout, a Chinese bird’s nest soup, or lobster a la Newburg, we piccaninnies believe in the simple life and watermelon. Give us a sunny spot to play and bask in, a loose frock, a sun bonnet and a wedge of watermelon, and keep the rest of the world to yourself. Watermelon is the most perfect among the products of nature, in size, in delicacy of taste and in artistic coloring. What is more tempting than its rosy, tender flesh in its green and white rind, what more luscious?